Citrix wanted to develop an elegant solution that enabled people to work and play from anywhere, at anytime, on any device. With Citrix’s challenge, we saw that as the lines between work and play blur, people needed a solution to align their priorities with their values to have a better work and life balance. We focused on what people valued most and how their values manifested and aligned in their daily tasks. People were either regimented (Workaholics & Taskmasters) or flexible (Waywards & Adapters) when it came to their triage system to assess tasks and priorities. Gen Y had a disconnection between setting their goals and its alignment to their values. Breaking down the definitions of tasks, priorities, and values are important to understand how people can achieve their goals. When all three are present, it equivalates to tasks that have high value alignment. 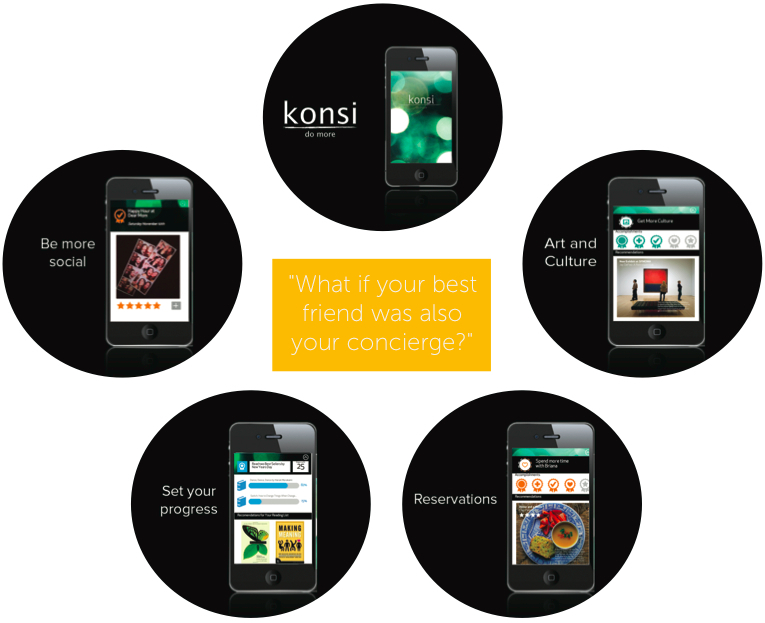 konsi is a service that allows users to do more of what they love. Our goal is for our users to be able to align what they value most to the tasks that they do. We empower users to make personal goals like “More Culture”, “More Reading”, “More Time with Significant Other”, etc. and connect them with experiences and brands that can help them achieve these goals. They are able to do more of they want with the people they love, easier. For a detailed look and demonstration of konsi, play the video below. Concept Video: Do More With Konsi from Yvonne Tran on Vimeo. 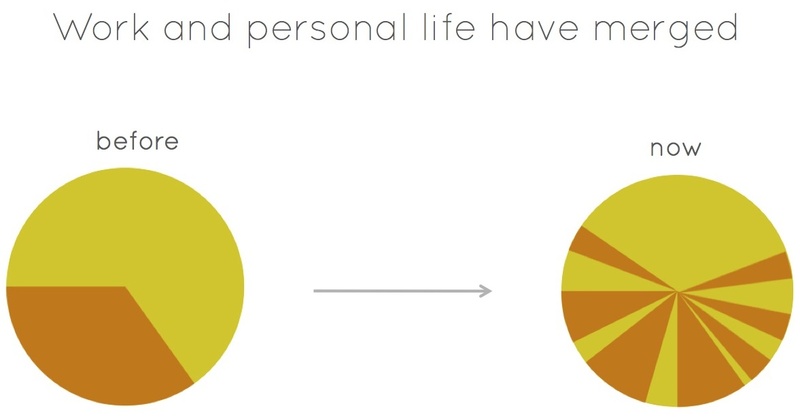 Work and personal life are no longer separate, they have blended into our personal life and vice versa. 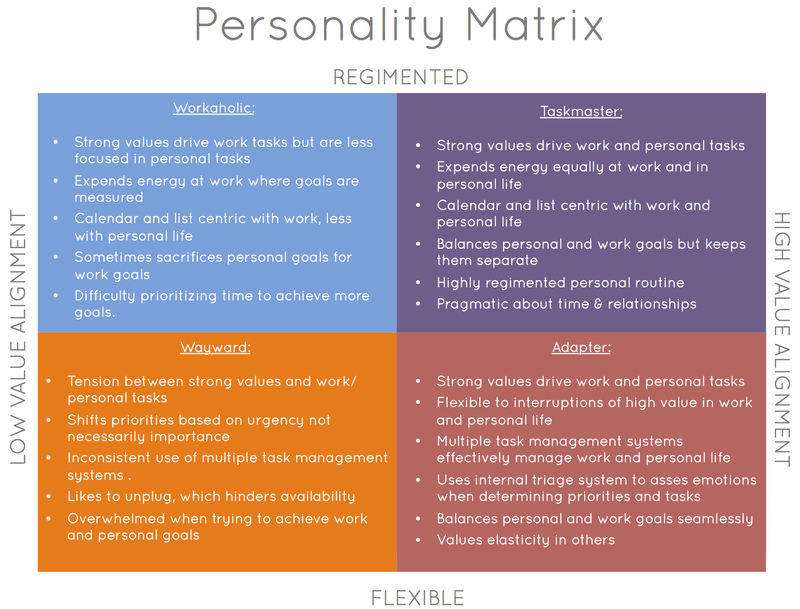 From our user research, we've uncovered 4 main personalities when it came to completing tasks. We saw the most opportunity to address the Wayward and Workaholic segments. konsi - Do more of what you love.